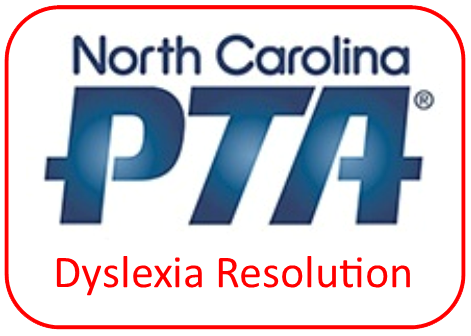 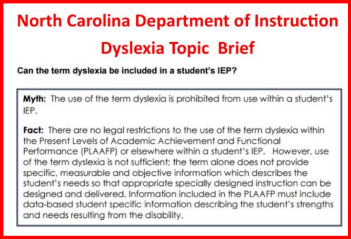 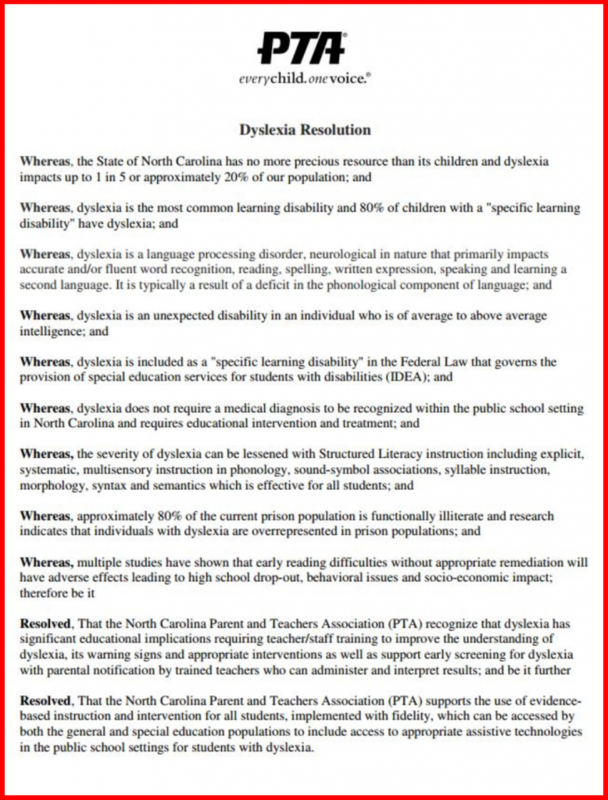 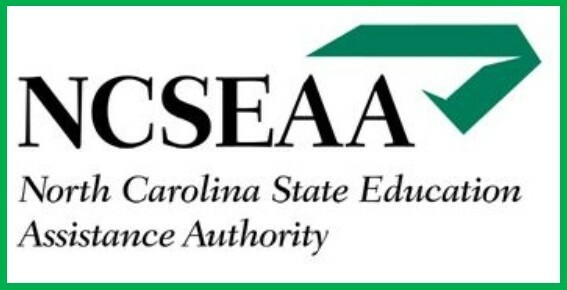 The North Carolina PTA adopted a dyslexia resolution in 2017. 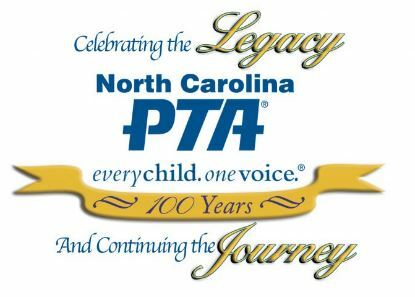 We would like to encourage you to share this resolution with your local PTA. 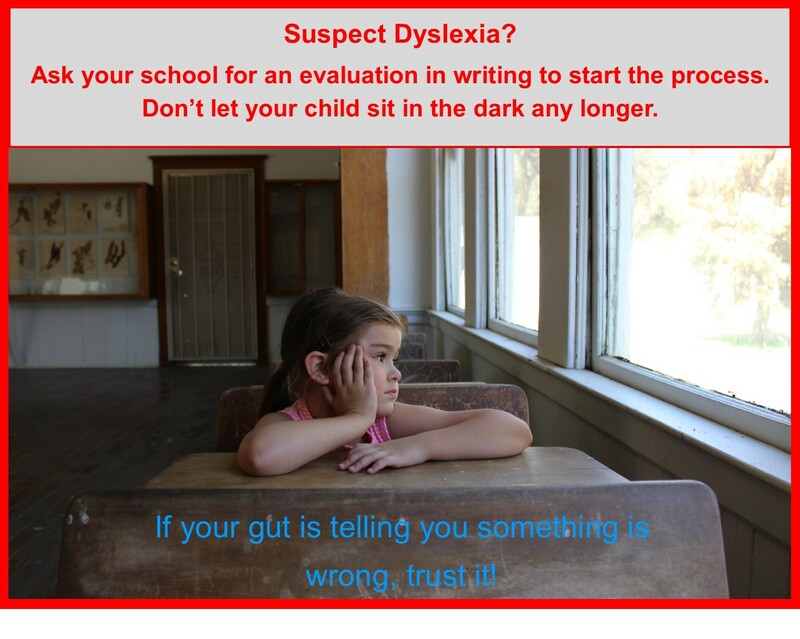 Putting information like this in front of parents and teachers will help raise awareness and might even answer their questions on why their children and students are struggling. Please, share and use this resolution in your advocacy efforts for dyslexia.